The leaders have slipped up in recent games with back to back draws against Eintracht and Hoffenheim and a loss to Werder Bremen in the DFB Cup after a penalty shootout. However, this next match-up takes them to the Grundig Stadion where they will take on the bottom of the table FC Nürnberg. Dortmund has only lost a single game this year, but the recent draws have allowed Bayern Munich to within five points. 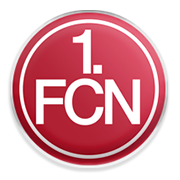 Nürnberg only won twice this season and has recorded 13 defeats. They are the worst offensive team in the league and the second worst defence. In 2019, they’ve only scored three times while conceding nine goals. In the first match of the season Dortmund won 7:0. And they have never lost in their head to head history of 13 encounters. The best Nürnberg can hope for is to do better than last time and try to deny the visitors.